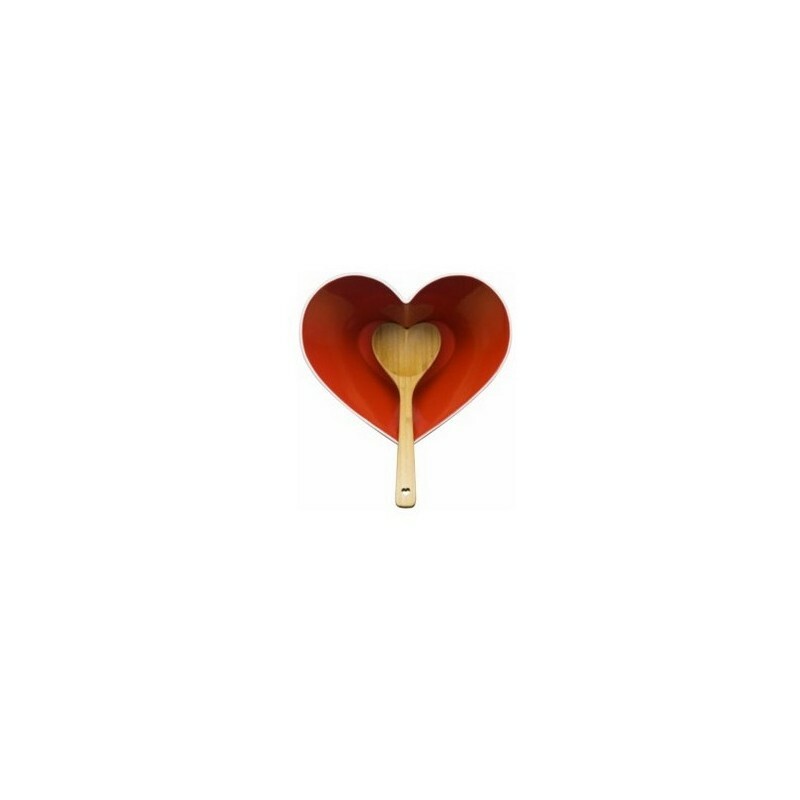 We absolutely adore this Sagaform Heart Bowl with Ladle, and we’re sure you do too! 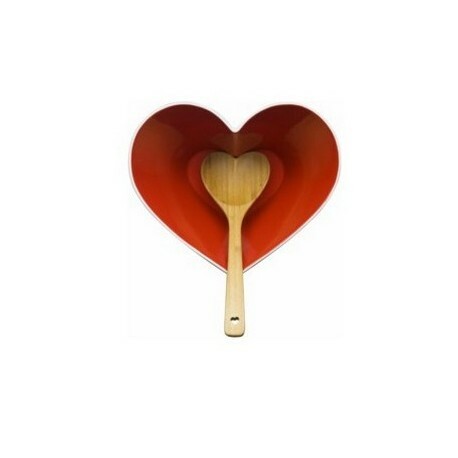 Why not surprise your loved one this Valentine’s Day with some of their favourite grub presented in this fabulously fun bowl and serving spoon set? After all, they say that the way to a man’s (or woman’s?) heart is through their stomach! This tasty twosome would make a great addition to your red themed kitchen or dining room, and would not fail to raise a smile when used to serve food to friends and family. The Sagaform Heart Bowl is made from stoneware, glazed bright red on the inside and white on the outside. The matching bamboo wooden ladle (made from an eco-friendly bamboo!) 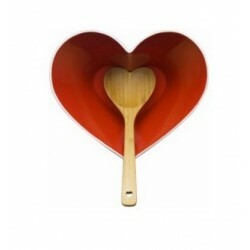 from this red funky salad set has a heart-shaped head that nestles perfectly in the middle of the bowl when not in use, and even the hanging-hole at the end of the handle is heart shaped – talk about attention to detail!